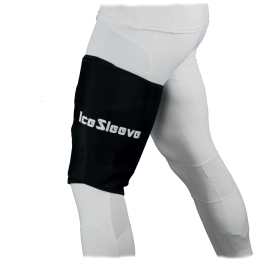 This thigh wrap is perfect for treating pulled hamstring and other upper leg injuries with ice therapy. 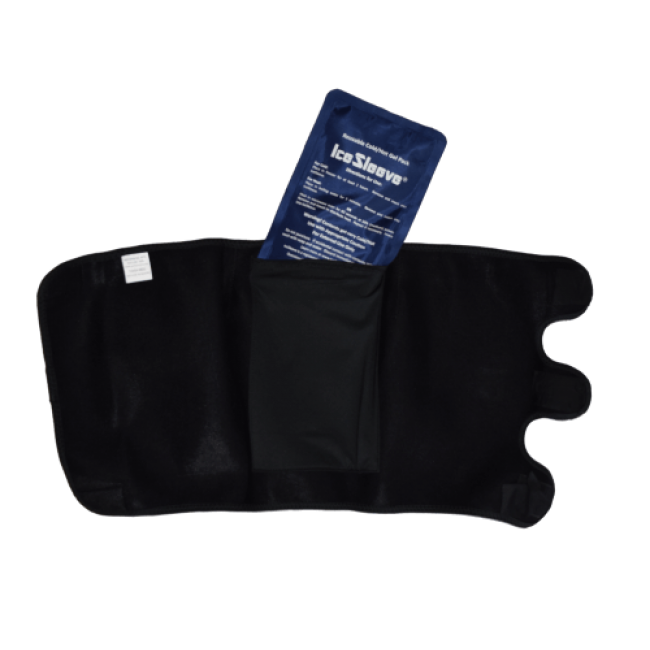 Its ergonomic design fits tight and will stay in place while you walk around. 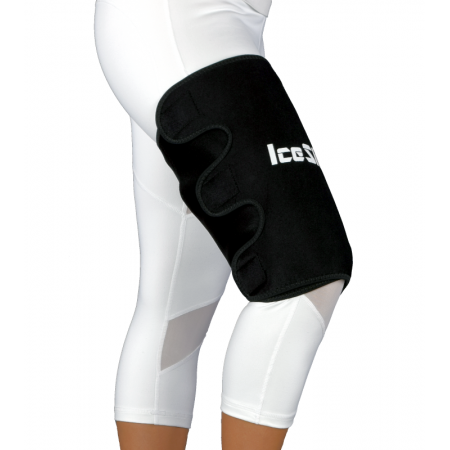 The hamstring ice pack is 6"x10" high, perfect for covering most hamstrings. 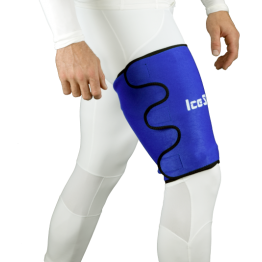 You can also rotate the wrap to ice the front or side of your thigh. 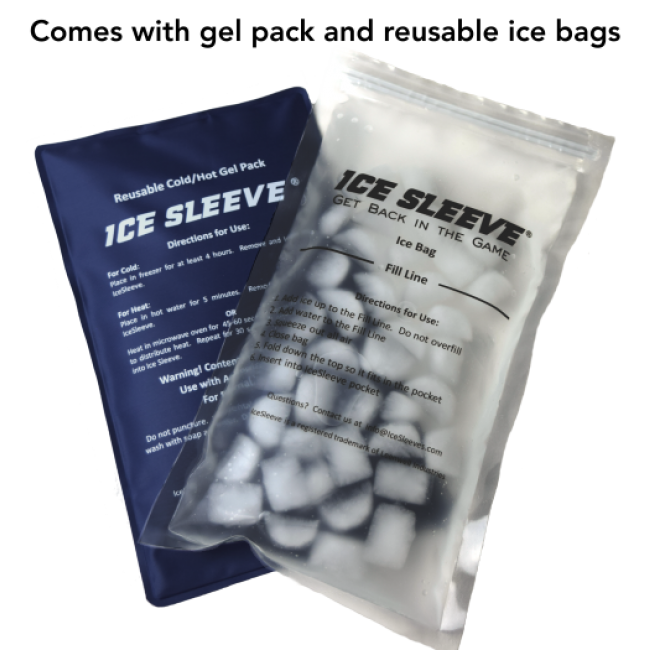 The included gel pack can be frozen for cold therapy or heated in the microwave for heat therapy. 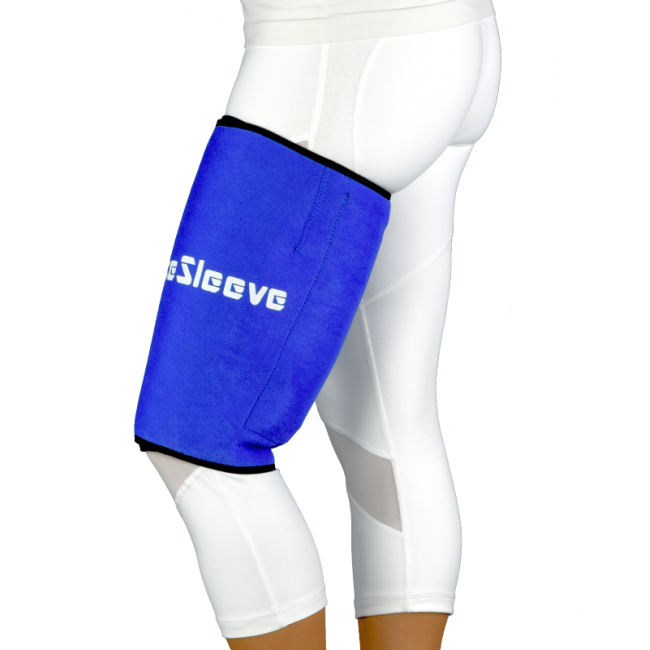 Heat is great for loosening stiff muscles and increasing circulation. 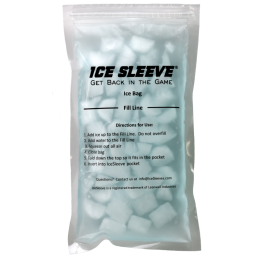 The hamstring wrap comes with heavy duty reusable ice bags, perfect for travel or outdoor events. 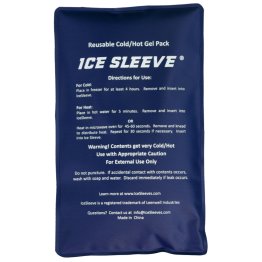 The hamstring ice wrap comes with one cold pack and three ice bags.